A personal assistant and technical writer for Thomas Edison from 1914 to 1919, Cummings began writing Pulp Science Fiction, and other pulp genres, in 1919, helping the early success of Astounding Stories. He was extremely prolific, writing countless short stories, novels, and later, anonymous comic book stories for Timely Comics. Several of his stories are available freely (and many more are likely in the public domain awaiting transcription). • "Beyond the Vanishing Point" Science Fiction.1931. 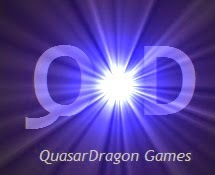 "When George Randolph first caught sight of Orena, he was astounded by its gleaming perfection. Here were hills and valleys, lakes and streams, glowing with the light of the most precious of metals. And, more astonishing than that, it was a world of miniature perfection—an infinitely tiny universe within a golden atom!" • Brigands of the Moon. Science Fiction.1931. "Our ship, the space-flyer, Planetara, whose home port was Greater New York, carried mail and passenger traffic to and from both Venus and Mars. Of astronomical necessity, our flights were irregular. The spring of 2070, with both planets close to the Earth, we were making two complete round trips. We had just arrived in Greater New York, one May evening, from Grebhar, Venus Free State. With only five hours in port here, we were departing the same night at the zero hour for Ferrok-Shahn, capital of the Martian Union." "The first of the new meteors landed on the earth in November, 1940. It was discovered by a farmer in his field near Brookline, Massachusetts, shortly after daybreak on the morning of the 11th. Astronomically, the event was recorded by the observatory at Harvard as the sudden appearance of what apparently was a new star, increasing in the short space of a few hours from invisibility to a power beyond that of the first magnitude, and then as rapidly fading again to invisibility." • The Girl in the Golden Atom. Science Fiction.1922. "Red Sensua's Knife Came up Dripping—and the Two Adventurers Knew that Chaos and Bloody Revolution Had Been Unleashed in that Shadowy Kingdom of the Fourth Dimension." • Tarrano the Conqueror Science Fiction.1930. "In "Tarrano the Conqueror" is presented a tale of the year 2430 A.D.—a time somewhat farther beyond our present-day era than we are beyond Columbus' discovery of America. My desire has been to create for you the impression that you have suddenly been plunged forward into that time—to give you the feeling Columbus might have had could he have read a novel of our present-day life." • Wandl the Invader. Science Fiction. 1932. 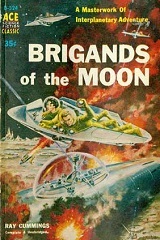 Sequel to Brigands of the Moon. "The thing was indeed inexplicable; for many weeks now, astronomers had been studying it. This was early summer of the year 2070 A.D. All of us had recently returned from those extraordinary events I have already recounted, when we came close to losing Johnny Grantline's radiactum treasure on the Moon, and our lives as well." • "The White Invaders" Science Fiction. 1931. "Out of their unknown fourth dimensional realm materializes a horde of White Invaders with power invincible." • "The World Beyond" Science Fiction. 1942. "Out of nowhere came these grim, cold, black-clad men, to kidnap three Earth people and carry them to a weird and terrible world where a man could be a giant at will."